As we age, decreased mobility, vision problems, slower physical reaction times, and in some cases, slower mental reaction times, make driving less safe. The smart safety features now available on many cars help compensate for these issues. Heated adjustable seats, adjustable steering wheels, and adjustable pedals compensate for mobility issues and for loss of height while easing discomfort from arthritis and other pains. Lower chassis heights on SUVs and CRVs and lower door sills on any vehicle make entry easier. Reliable models from recent years save money. The initial period of steepest depreciation will have passed, so less money is lost as the car ages. These cars, however, may still be covered by extended manufacturers’ warranties or be sold as manufacturer-certified pre-owned cars, which saves money on repairs. Here, in alphabetical order, is a list of 14 cars with features helpful to seniors. 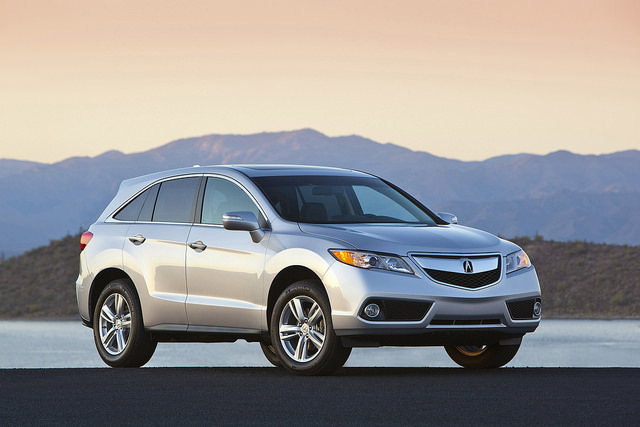 The Acura RDX offers a lower door sill, keyless entry and start, a rearview camera, and power tailgate closer. The dashboard has a high-contrast instrument panel, and the dashboard controls are larger, including larger audio and climate controls. Both the driver and passenger seats are heated. The driver’s seat provides eight-way power adjustment and power lumbar support. Passenger seats offer four-way power adjustment, and rear passengers have ample legroom. The Acura RDX also includes a thick steering wheel that tilts and telescopes. The 273-horsepower, 3.6-liter V-6 engine achieves an estimated 20 mpg in the city and 28 mpg on the highway. The Acura comes with a six-speed automatic transmission, and all-wheel-drive is available.